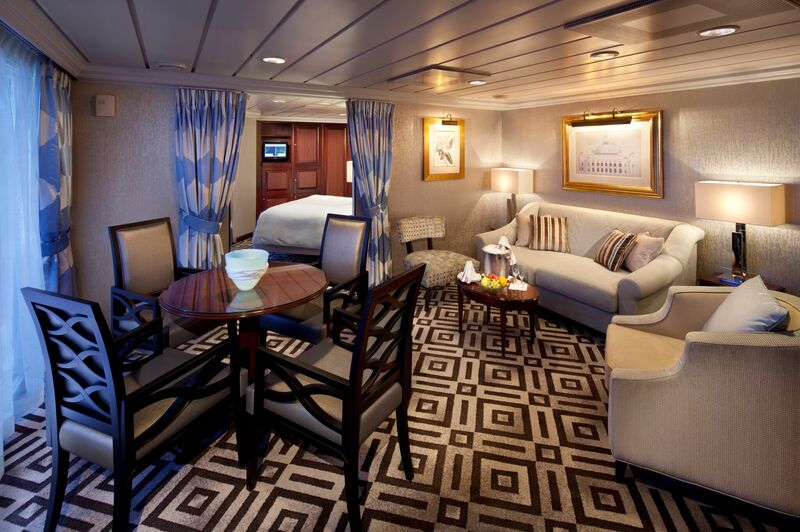 Trimline, Southampton-based marine interior refurbishment specialists, has completed a month-long refurbishment of twenty Owners Suites on the Azamara Quest and Journey on behalf of Azamara Club Cruises. Working on-the-run, while the ships were in service, Trimline carefully coordinated with the staff on-board and worked around passenger schedules to keep passenger disruption to a minimum. 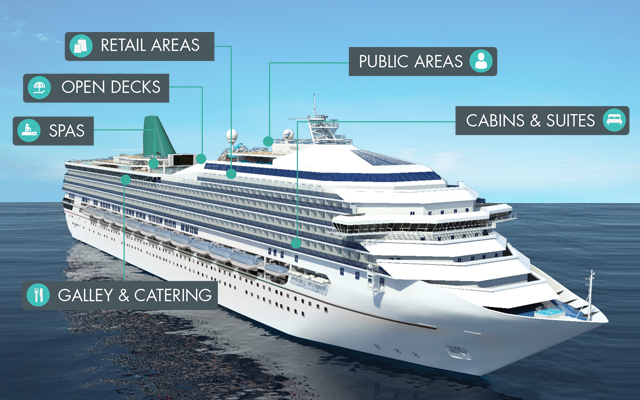 Limiting the noisiest work to periods when guests were off the ships, ensured that there was no impact on the cruise experience. 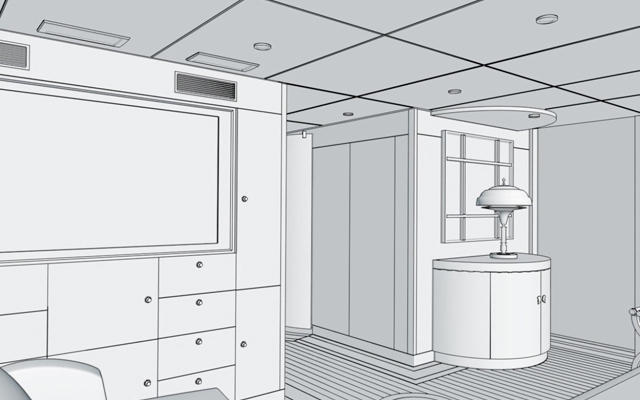 Fourteen staff from Trimline, including joiners, carpet fitters, electricians, upholsterers, decorators, labourers and a French polisher, joined the Azamara Quest in Greece and began the strip-out of the ten existing suite interiors. The refurbishment included installing new sofas, bed frames and arm chairs and the fitting of new carpets. The suites were re-decorated with luxurious embossed wallpaper in the living and bedroom areas, cornices were painted and some suites had new floating floors installed along with replacement steel sheeting to replace worn existing sheets. New lamps were installed along with new wall lamps by the team of electricians. All the curtains for the suites were handmade at Trimline’s Southampton headquarters, with extra care and attention-to-detail being paid to the delicate silk material used. Hand sewing techniques were used by the soft furnishings team instead of machine stitching to preserve and maintain the materials and the curtains. Extra care was also taken with the installation of the wallpaper. The delicate material was installed using less water and paste to retain the integrity of the intricate pattern. 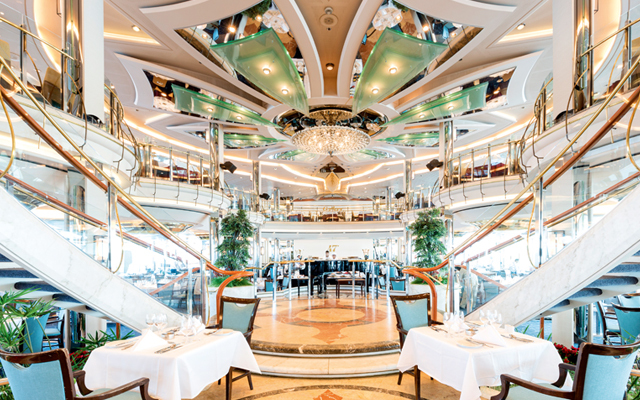 The work was undertaken consecutively with ten suites on Azamara Quest finished in mid-November and the ten suites refurbishment on Azamara Journey commencing immediately after in Italy.